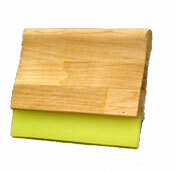 60 Durometer Squeegee Blade – Soft Blade – with 3.5″ Wooden Handle – for Smaller Hands. 6″-18″ Lengths Available. 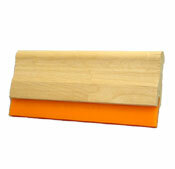 60 Durometer Squeegee Blade – Soft Blade – with 3.5″ Wooden Handle – for Smaller Hands. 6″-18″ in Lengths Available. 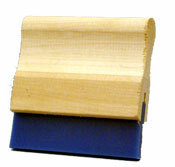 Length 10" in., Length 11" in., Length 12" in., Length 13" in., Length 14in., Length 15in., Length 16in., Length 17" in., Length 18" in., Length 6" in., Length 8" in.